These headphones are outstanding. 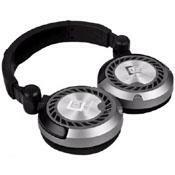 Sound quality, durability, design and comfort are all excellent. These are open headphones, so these are expected to not have the best noise isolation, but it's acceptable. These sound fantastic out of any source. :) For 300 dollars, these are a steal....... Seriously. Sound: 9/10......The sound quality is fantastic. Detail retrieval, soundstage, imaging, lows, mids and highs are all excellent, as expected with a $300 pair of headphones. Design: 10/10......These look sick. The black and grey look stunning. These also feel amazing and extremely high quality. Comfort: 10/10....... These are the most comfortable headphones I have ever worn. The velour padding is extremely comfy, which is good for long listening sessions. Isolation: 6.5/10....... For open headphones, the isolation isn't that bad. The isolations isn't great, but it's not bad. These leak a lot of sound in and out. Durability: 8/10.......These are very durable, but metal would bring durability from a 8.0 to a 10.0.